NEW! 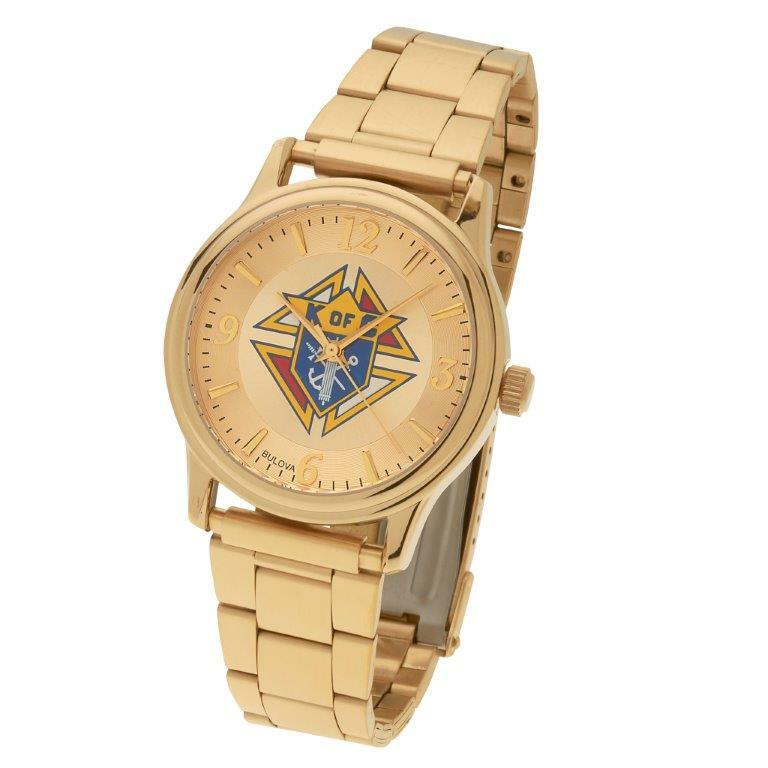 Knights of Columbus Watch with Gold-tone band. Made by Bulova. Water resistant (everyday use, not suitable for bathing, showering, swimming) Emblem of the Order OR 4th degree emblem on face.Gift Boxed.